Wednesday, February 28th, 2018 - Categories: Team, Uncategorized. The 2018 USA Climbing: Bouldering Youth National Championship will take place at Salt Palace Convention Center in the heart of downtown Salt Lake City. 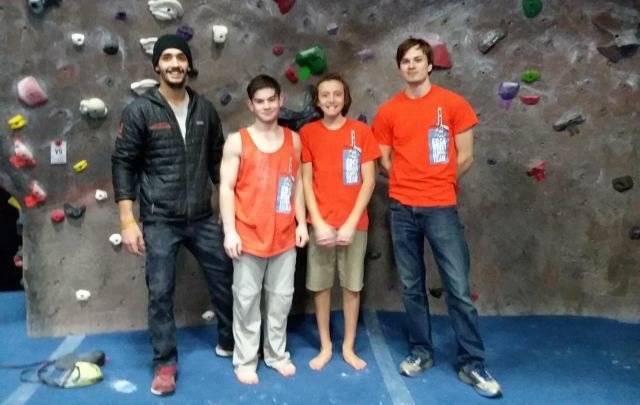 Three of Team Edgeworks’ competitors will be competing on the national stage along with some of the best climbers in the country. The event schedule and running orders can be found on usaclimbing.org. The competition will also be streaming live on the website. Courage is embracing being uncomfortable. It is alright to accept that you have fear. Compassion is trusting yourself. You need to trust that your process and you as a person can overcome any obstacles in your way. Lastly, to deal with being nervous, be competitive. Get excited for whatever is about to happen. Get excited about being able to go out on a big stage and perform your best. All you can control is your effort and focus. Do not get worried about the results because they are out of your control. Get excited about the opportunity to compete. Feb. 19, 6:30p in the upstairs lounge.